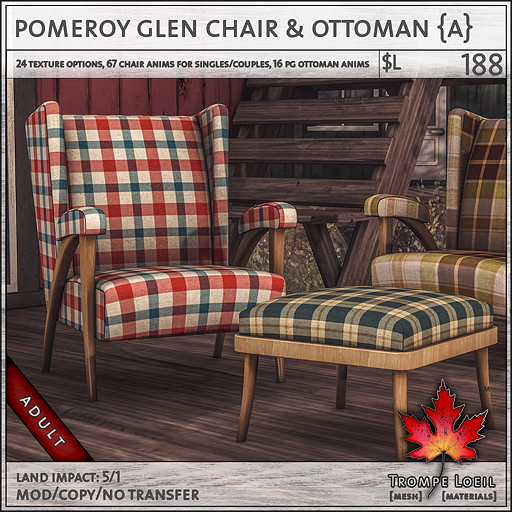 The cabin that’s been in the family for years, the vintage chair and ottoman that’s always been in the corner waiting when you arrived at camp – July’s Collabor88 is nostalgia-fueled with our new Pomeroy Glen Cabin and Pomeroy Glen Chair and Ottoman set! 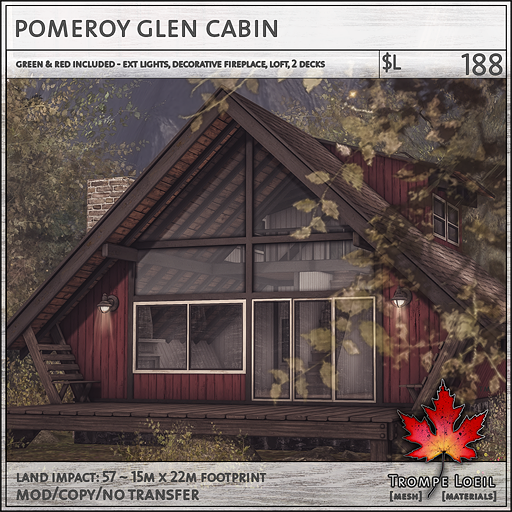 The Pomeroy Glen Cabin is a two story modified A-frame design, with dual front and back raised decks and inside loft with staircase. 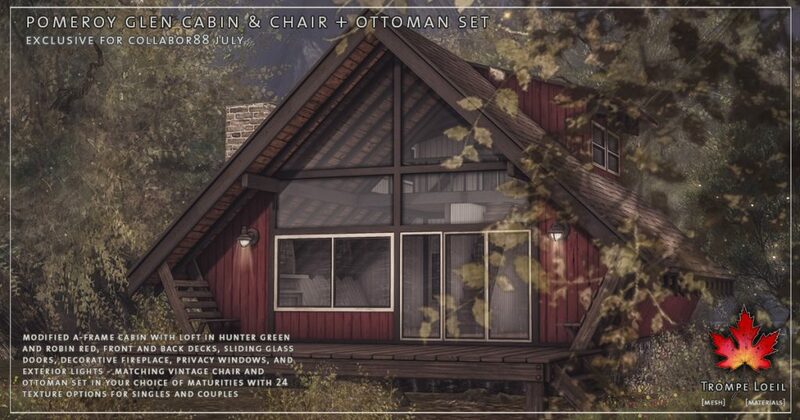 The decorative fireplace is waiting for your candles or lanterns! 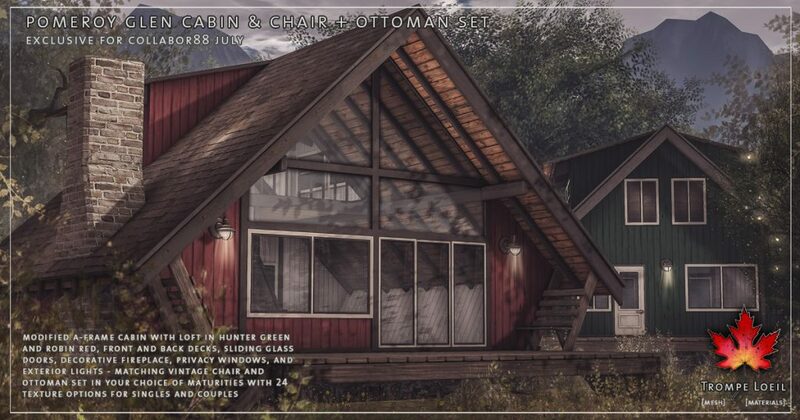 Locking doors, exterior lights, privacy windows, and our *home control system round it out – and we include both robin red and hunter green exterior paint colors in the same pack! 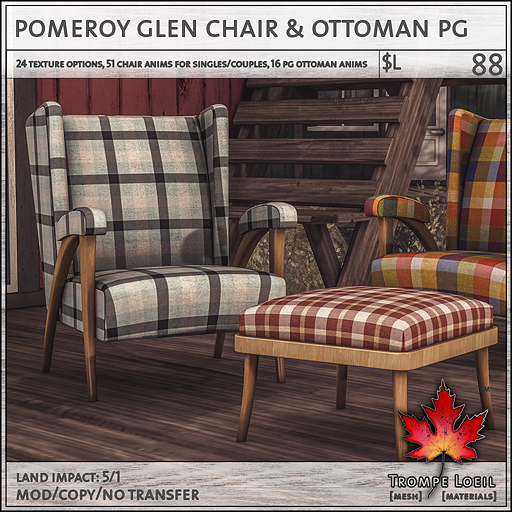 Plus, the Pomeroy Glen Chair + Ottoman set packs a retro punch with 24 fun and funky plaid patterns, from wild to subdued, and your choice of maturities for singles and couples (ottoman included in PG only). 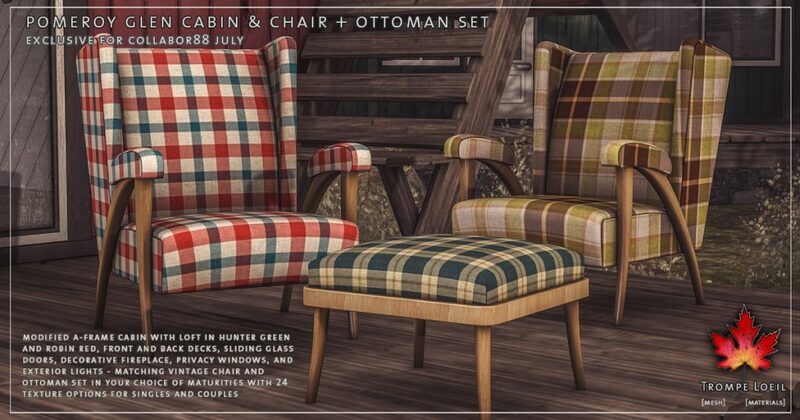 Only at Collabor88’s great July sale prices!